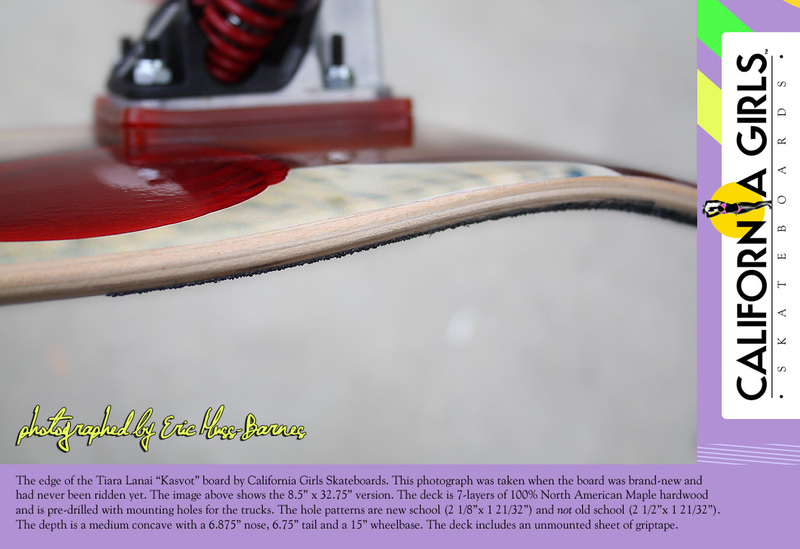 Since most skateboards use painted illustrations as graphics, few can imagine what great quality we attain on our photographic images. 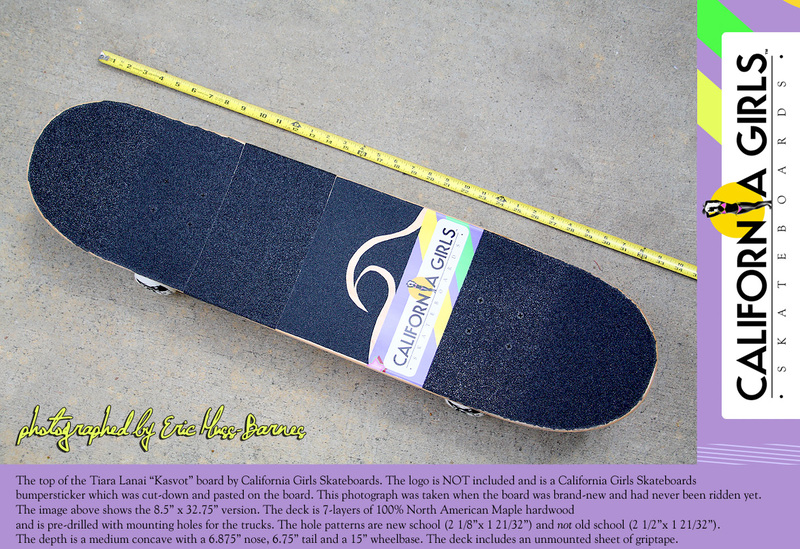 That is why we created the sample photos below. 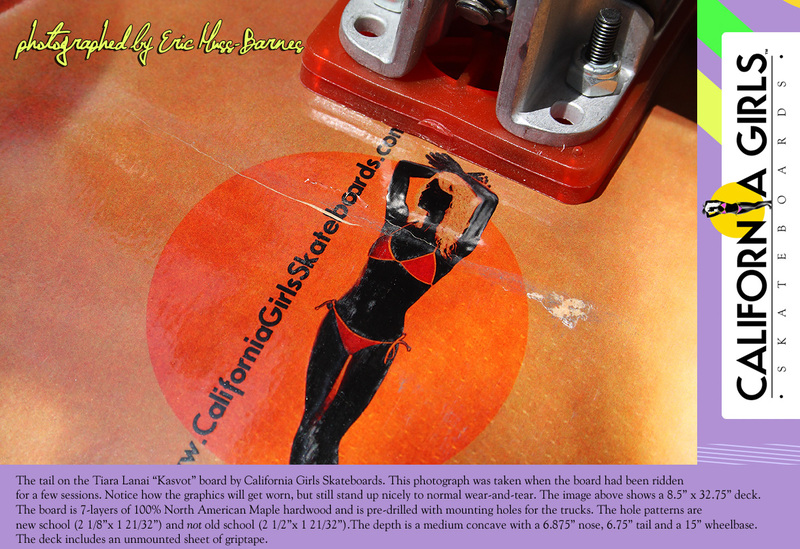 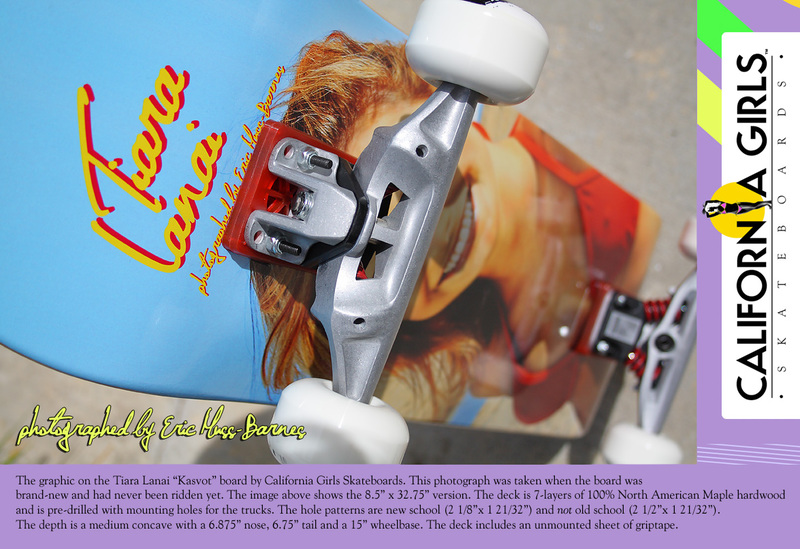 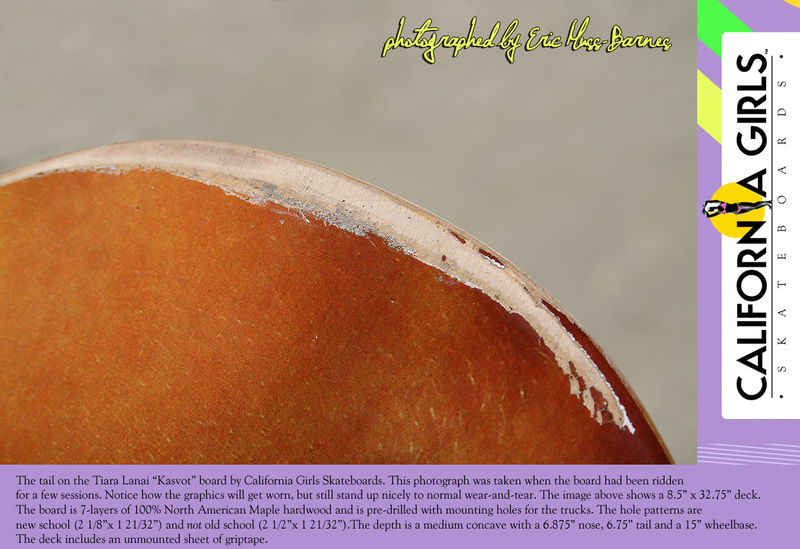 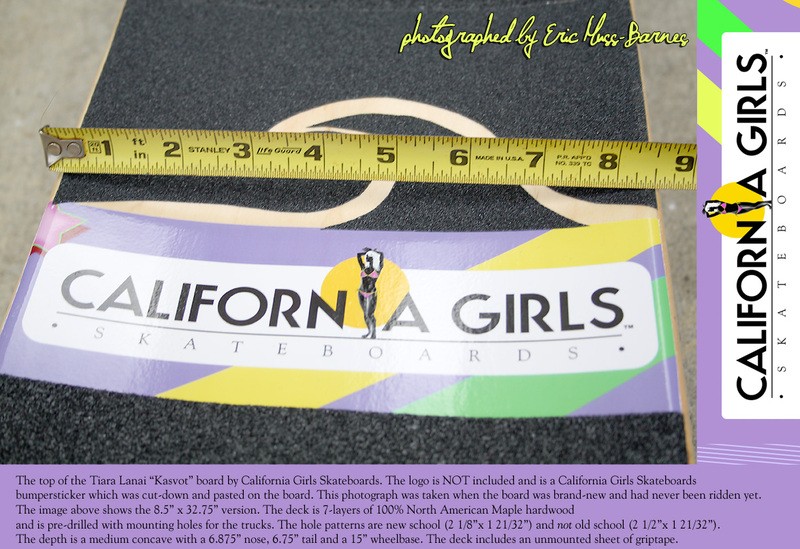 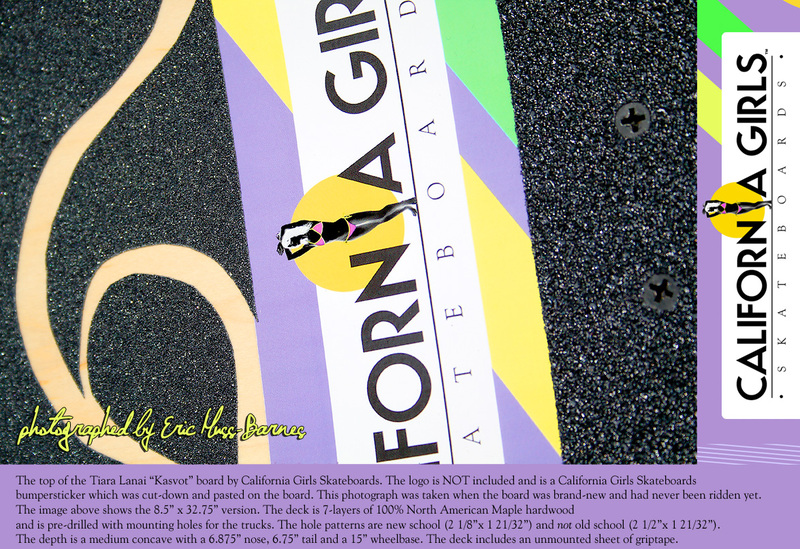 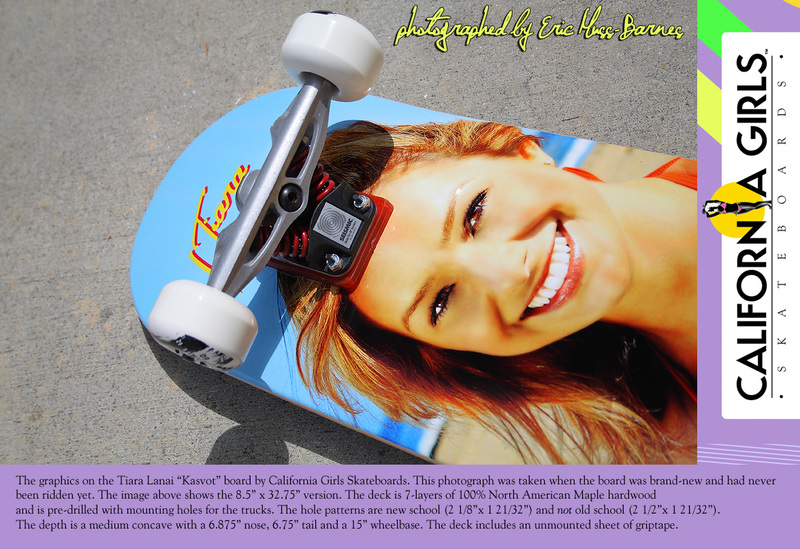 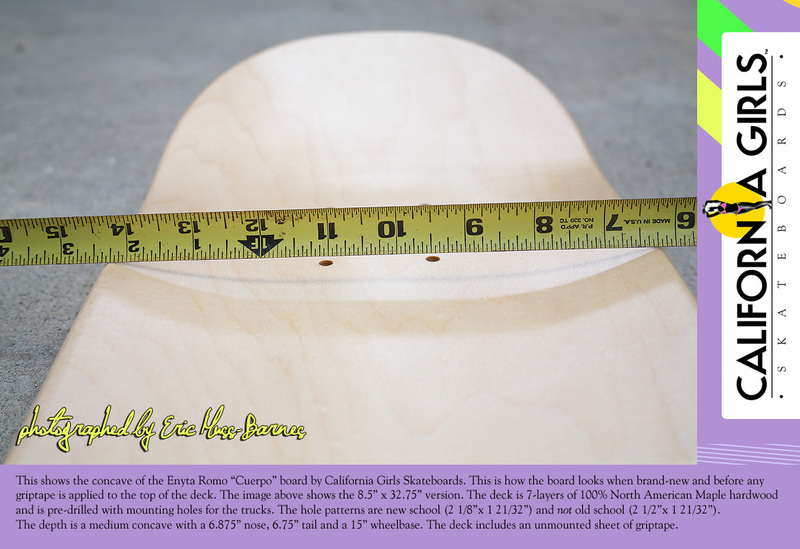 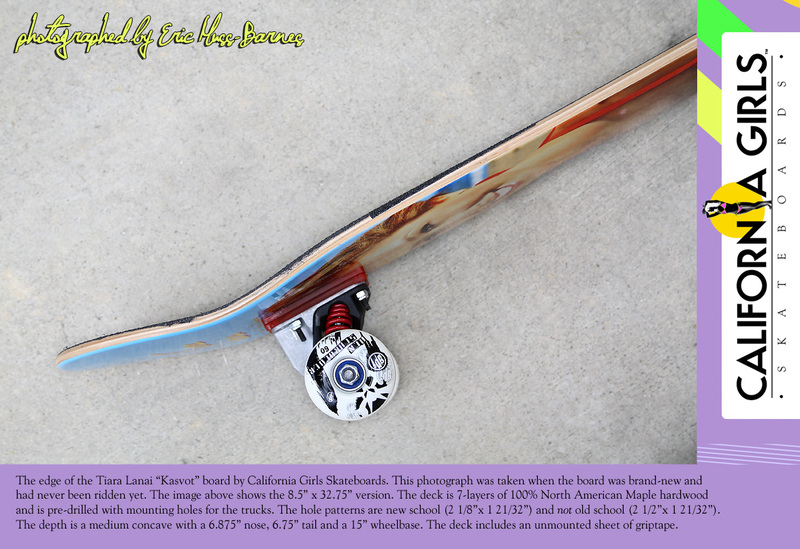 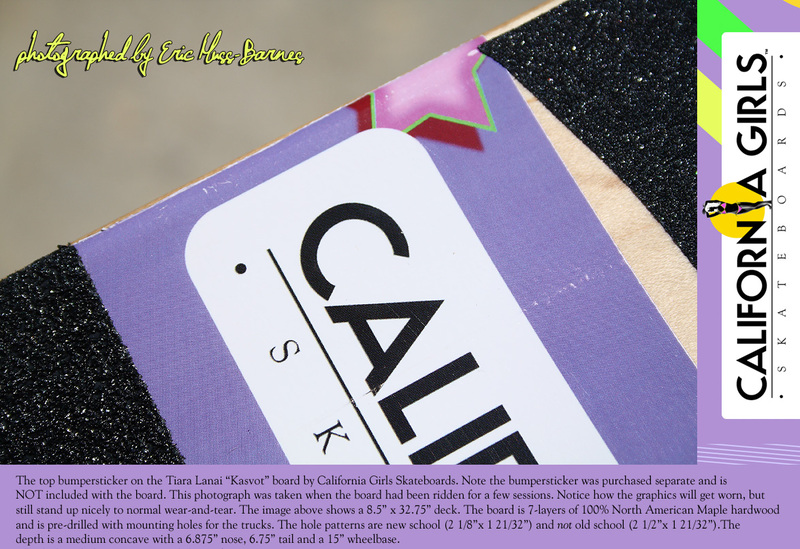 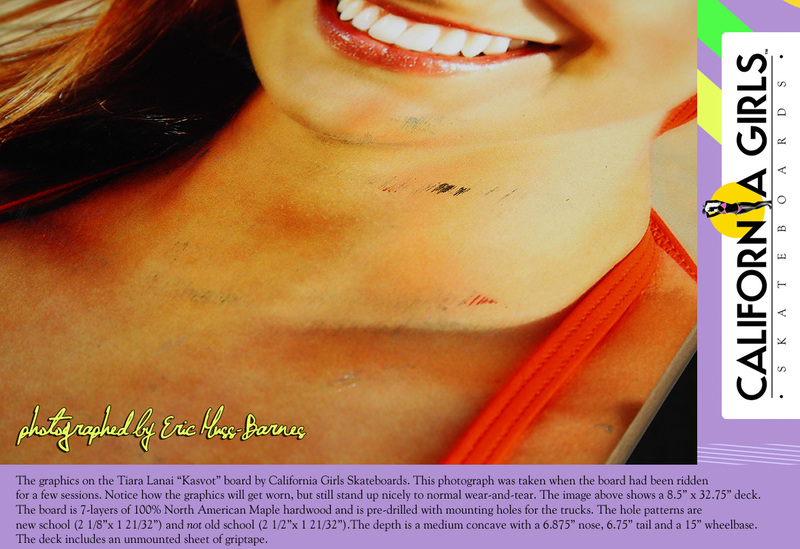 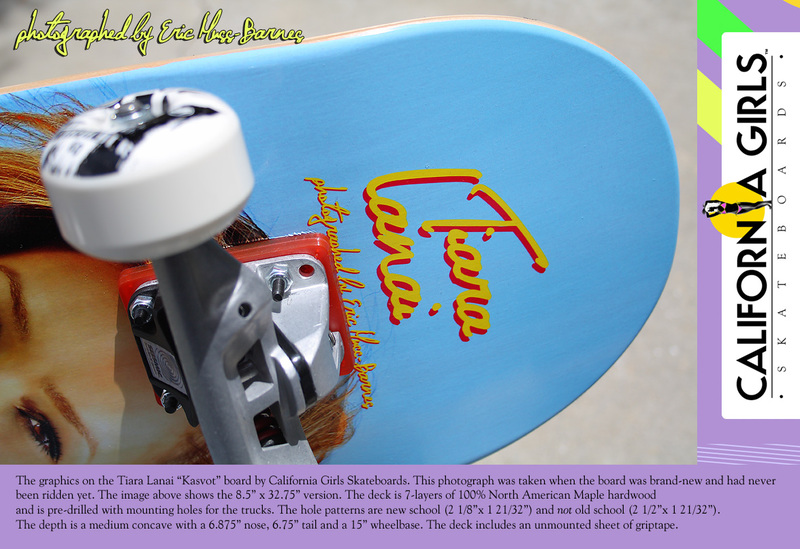 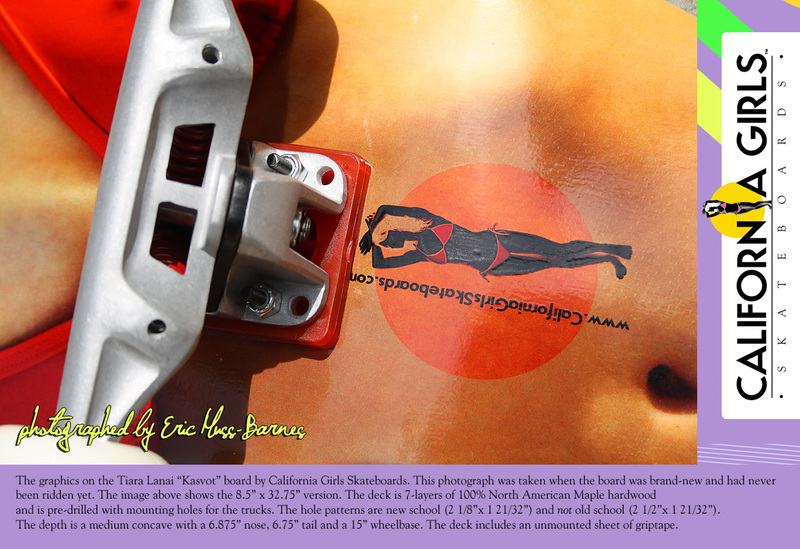 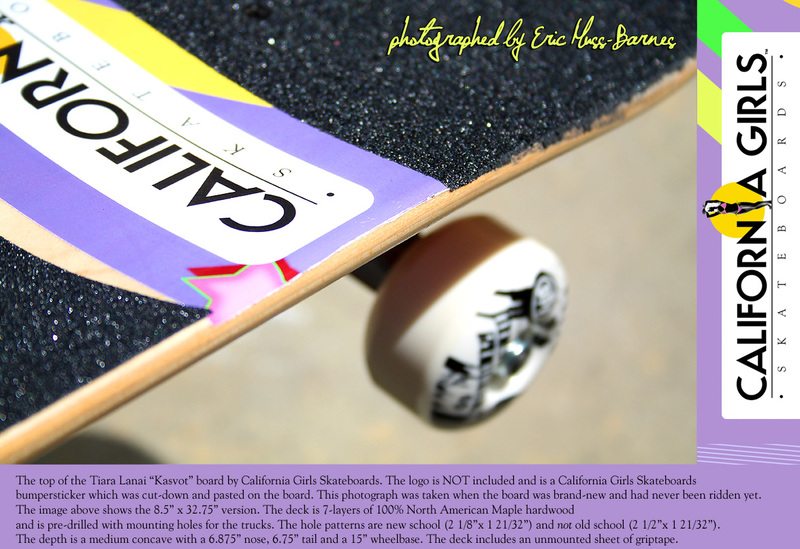 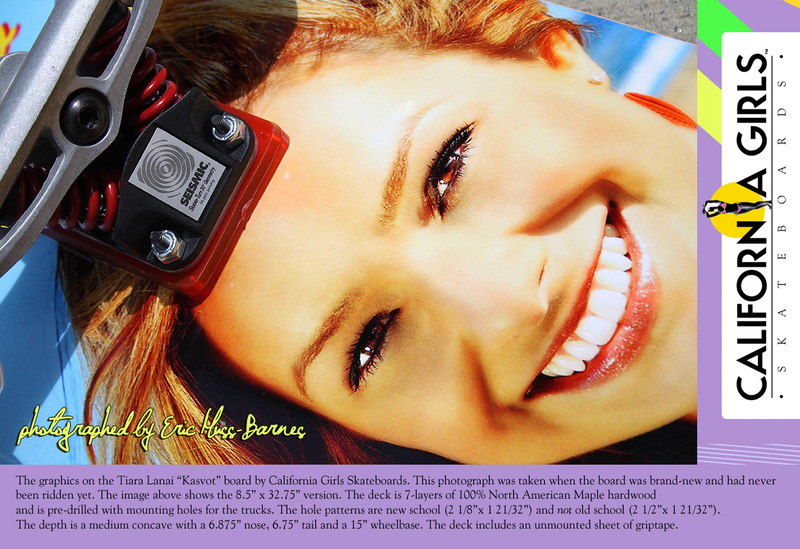 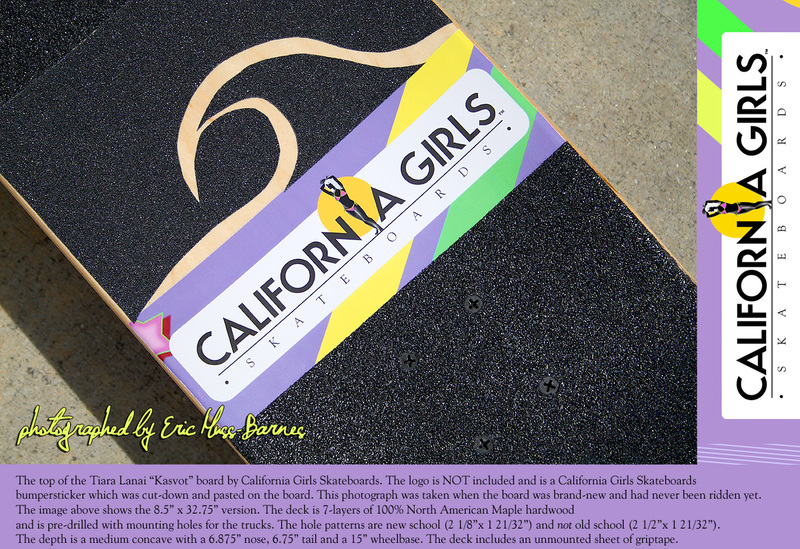 These images provide detailed studies of California Girls Skateboards decks, so you can see just how fantastic your own board will look. 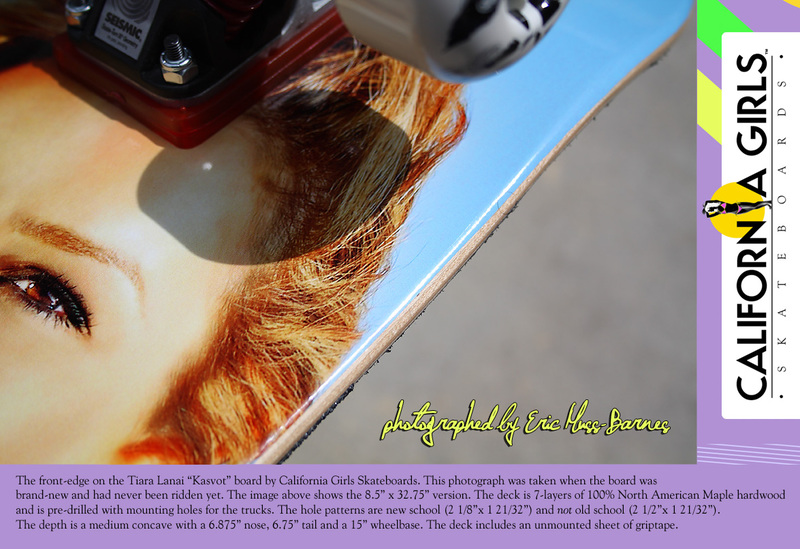 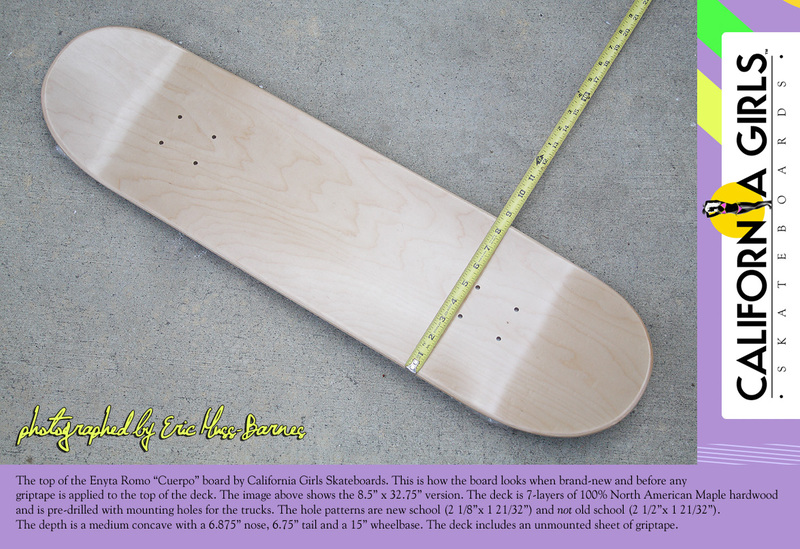 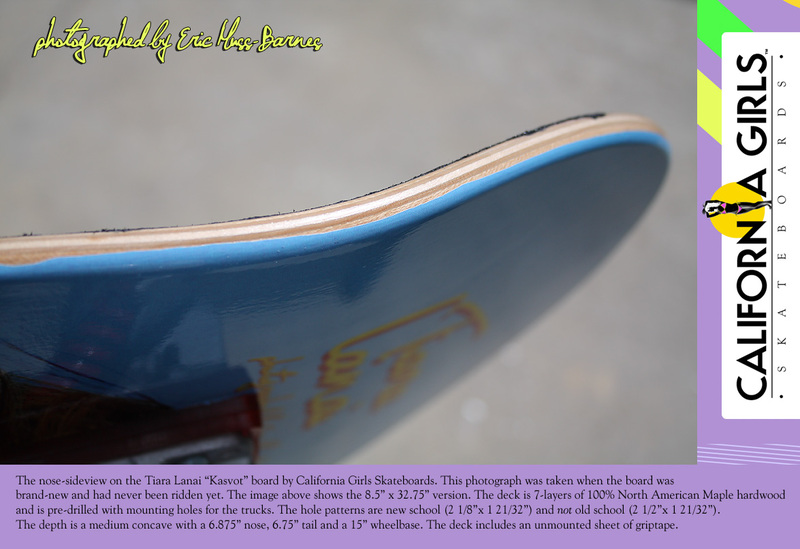 We showcase photographs of a brand new deck, plus images of a deck that has been ridden for awhile. 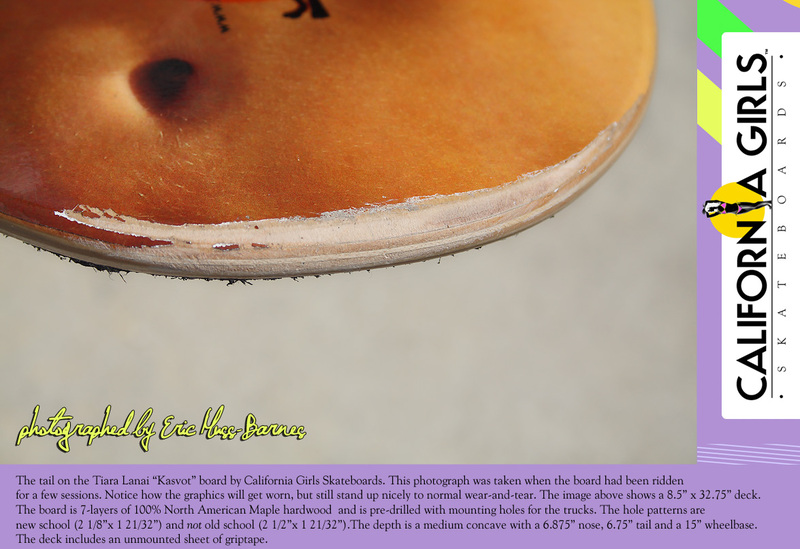 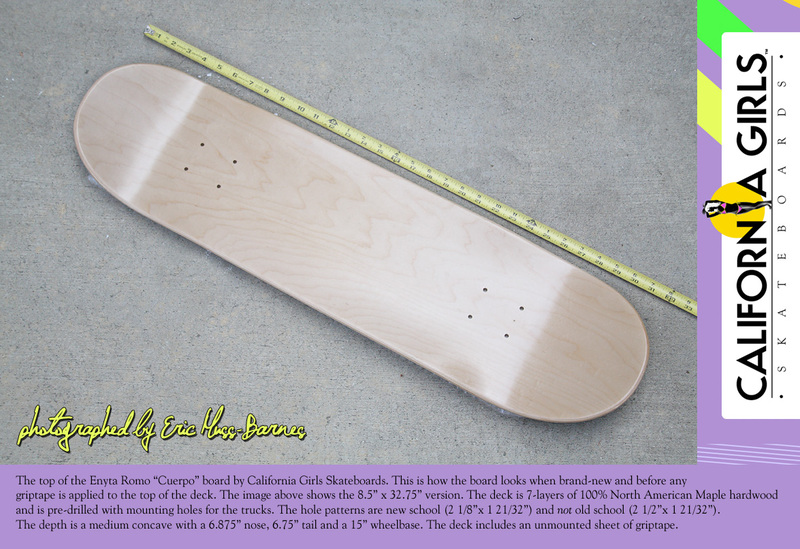 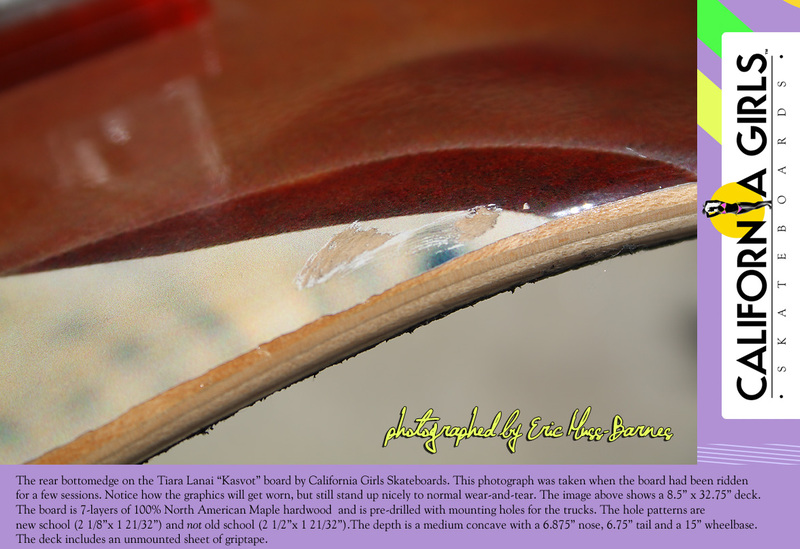 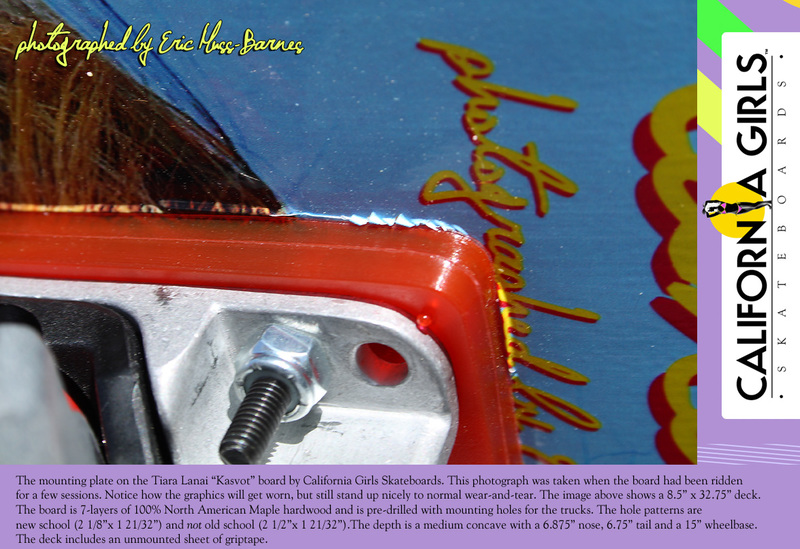 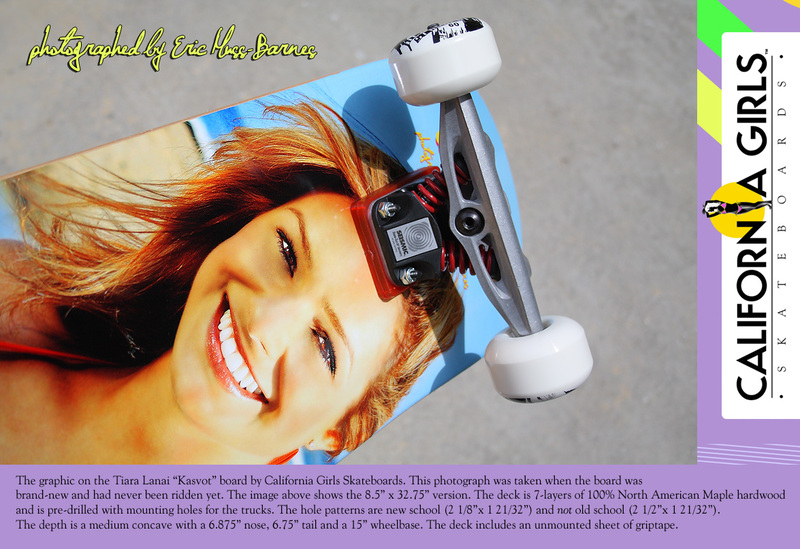 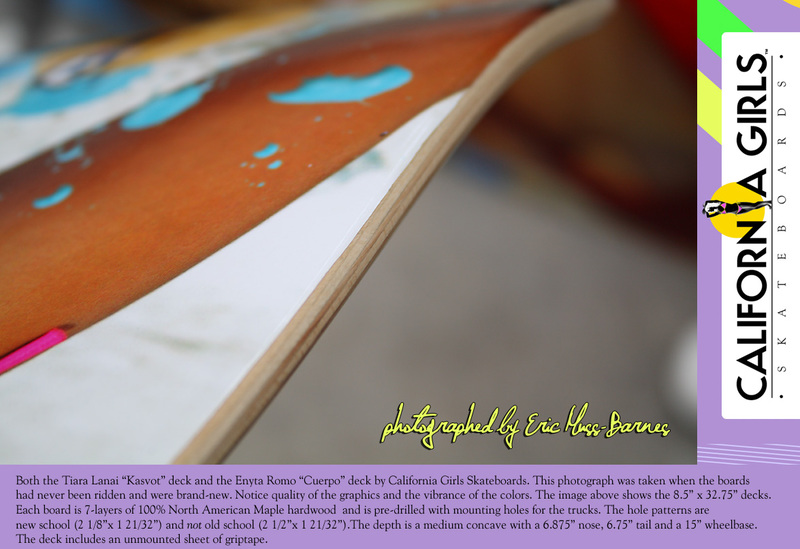 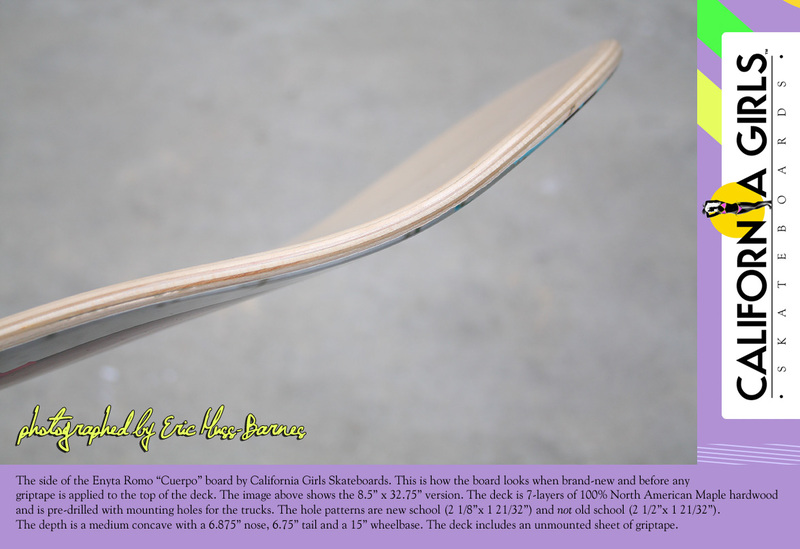 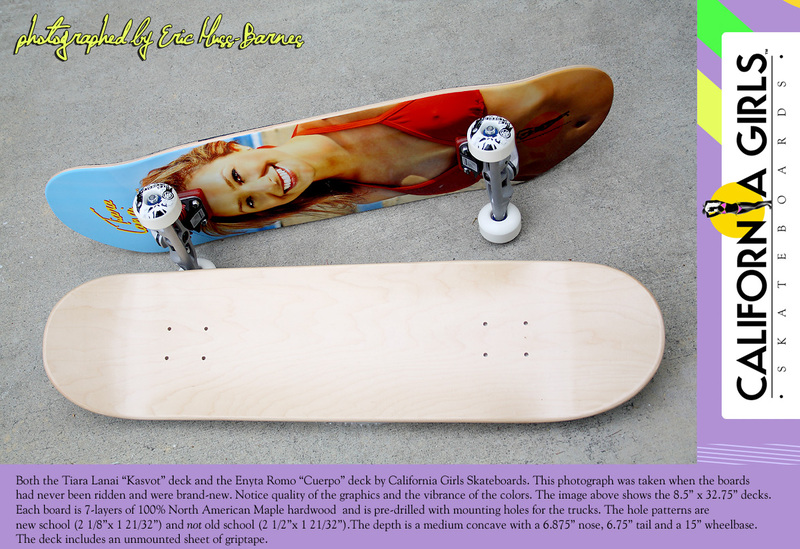 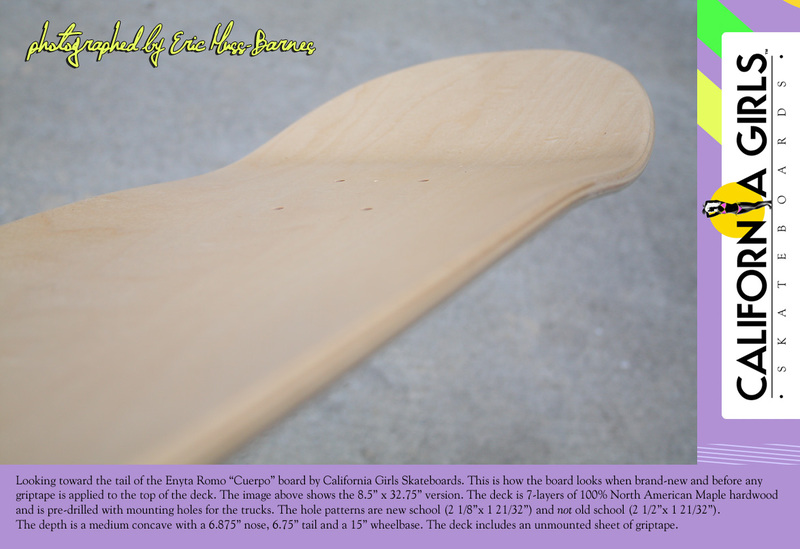 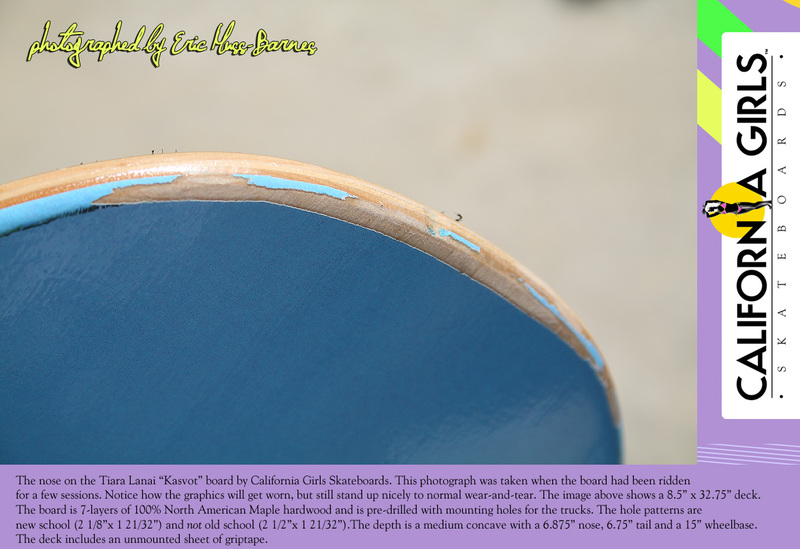 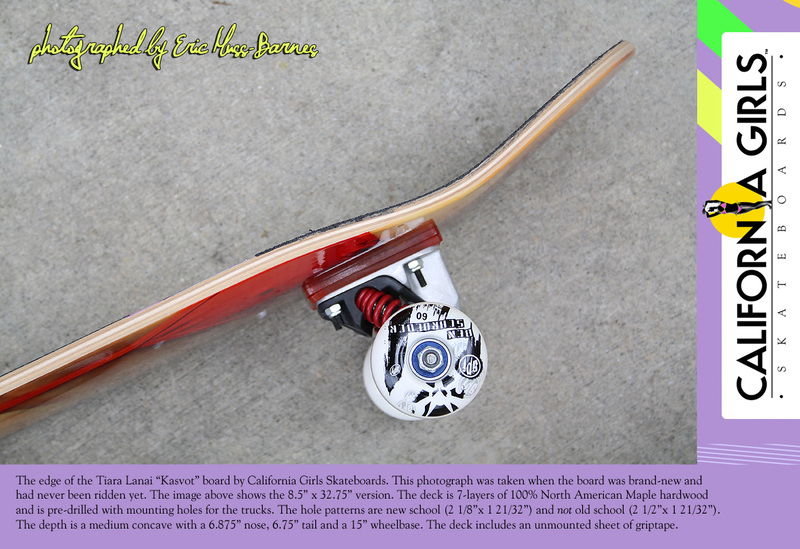 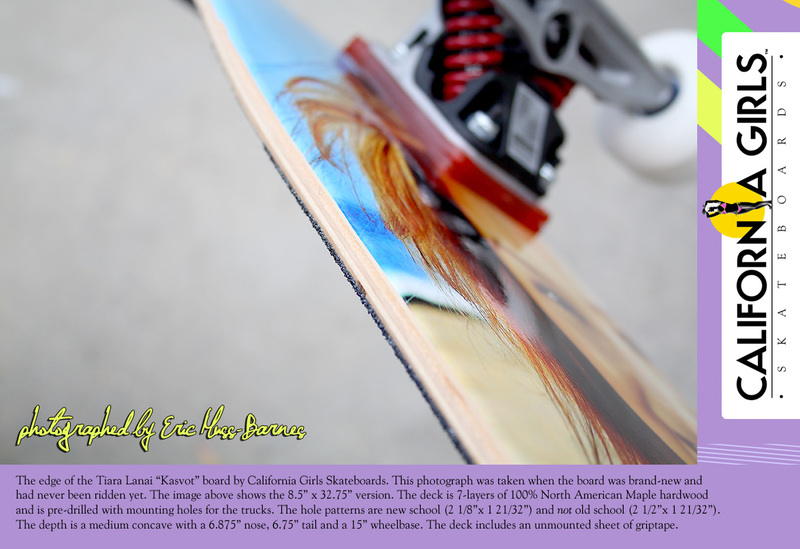 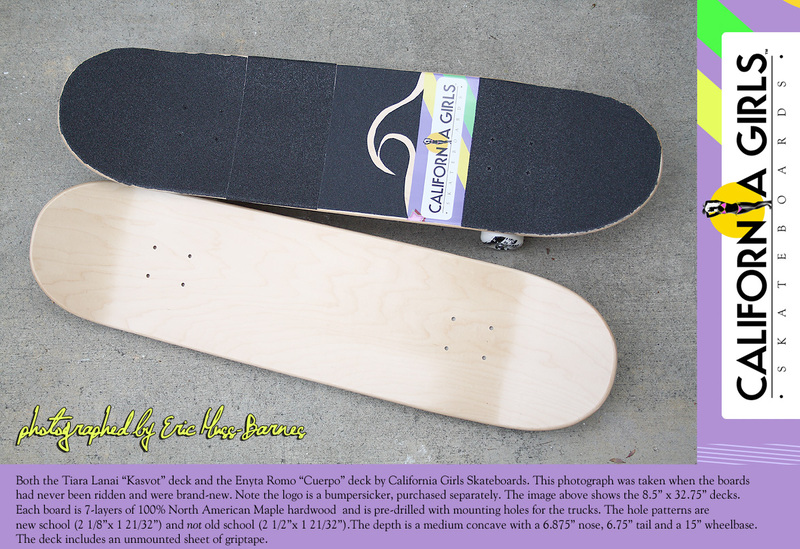 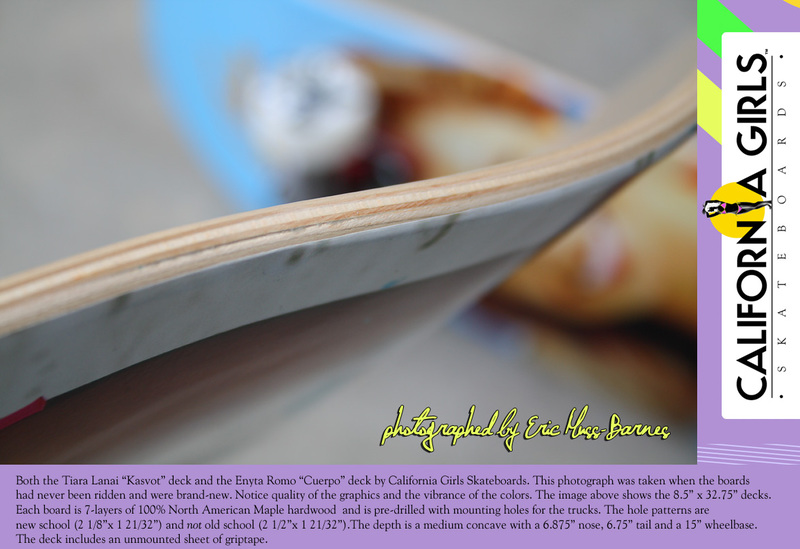 This way, you get a clear view of your new board, plus you will see how your board stands up to normal wear-and-tear.